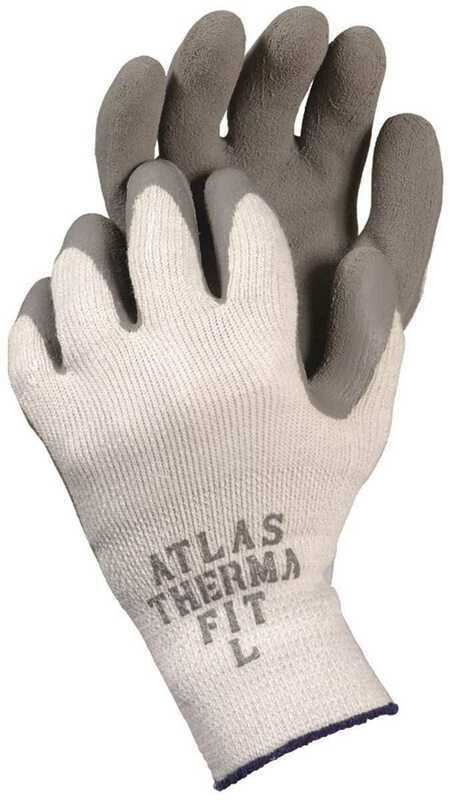 Showa Atlas 451 thermal gloves offer a reliable hand protection solution when working in cold weather. Their innovative design consists of a rugged natural rubber coating over a cotton/polyester double napped acrylic liner to keep hands warm and dry. They also provide the flexibility required for cold-weather tasks when engaging in farming, gardening, construction, fishing, refrigeration or outdoor maintenance work. Tough natural rubber coating on a thicker, warmer liner ideal for cold weather chores and gardening. The breathable fleeced knit liner is napped and brushed to keep hands warm. The rubber coated palm protects from moisture. Rough grip helps handle wet slippery objects. 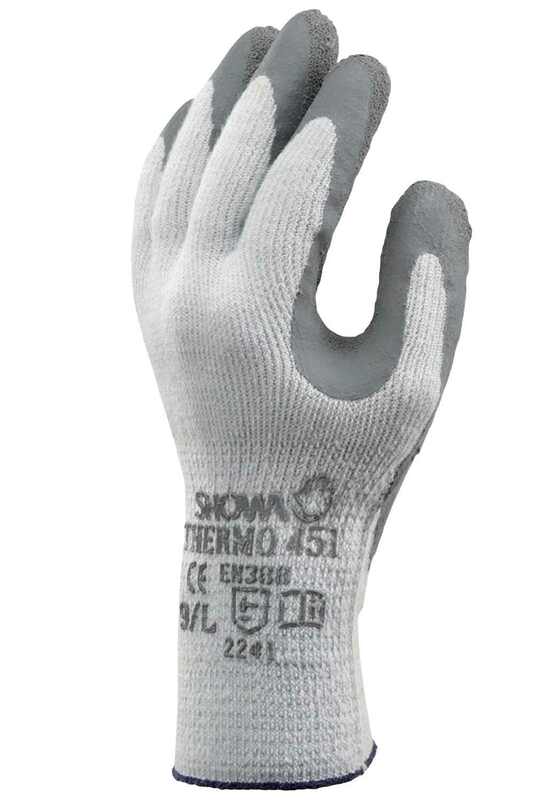 This thermal glove’s rubber-coated palm keeps moisture away so that hands stay warmer in damp or wet conditions. The palm also provides a rough grip for sure handling of slippery objects and protects against abrasions and punctures. 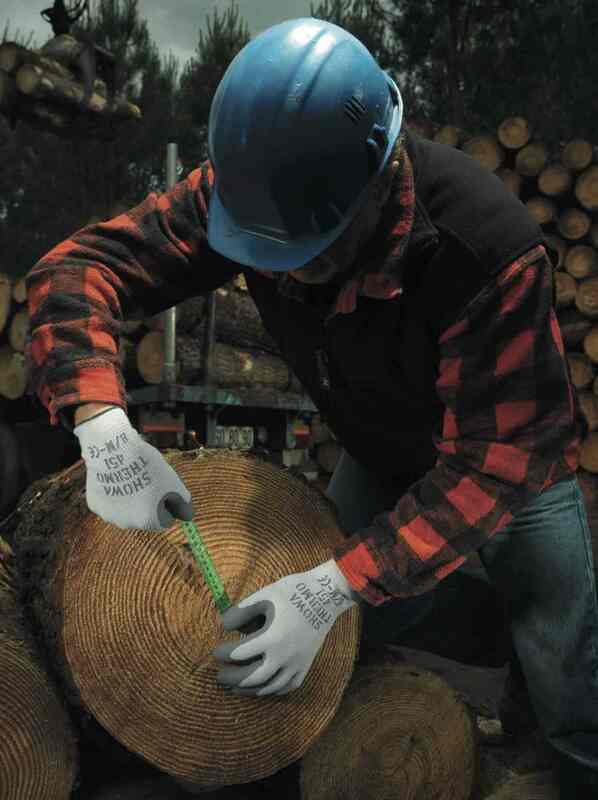 The brushed, napped knit liner is “breathable” to help maintain comfort and flexibility when working in cold conditions. With the wide variety of sizes, you’ll have no trouble achieving the ideal fit. 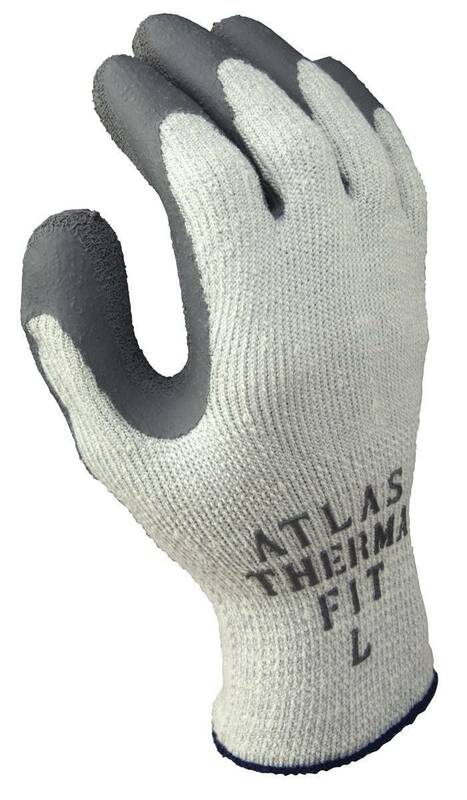 Atlas Therma Fit gloves come in small, medium, large and extra-large. They’re also machine washable, which is perfect for frequent-wear applications. Order the Atlas 451 thermal glove online in bulk and take advantage of our cost-cutting volume discounts. We also include free shipping to anywhere within the continental U.S. with all orders over $80. Our 30-day return policy is our commitment to your satisfaction, so you can purchase work gloves from PalmFlex with total peace of mind. Place your order online today. If you have questions or need more information, feel free to contact our customer team for fast, personalized assistance.